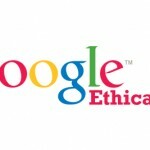 Home » Blog » archive » The Benefits of SEO and Social Media. Recently things have changed a bit; more and more search engines have begun to incorporate social media context into their search results. This means that when you search on Google while logged into your Google+ account, Google will automatically collate similar information that has been shared from friends on your Google+. 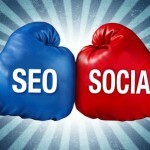 Now with Facebook releasing Graph Search and Bing teaming up with Klout it appears that a new age of social media connecting with search engines has begun. SEO is more than just website “traffic”. There are many other benefits to optimising your website. SEO is not just about driving “traffic” to you website; it’s about making sure that the right “traffic” gets to your website within your chosen sector, locality and your specific product or service. So it’s not the quantity of visitors being directed to your website, but the quality of visitor. For instance if you’re a hotel you need to ensure your website is being looked at by people who are searching for hotels in the area as it is these people who are thinking about staying in the area and are more likely to convert into real enquiries/bookings. Driving these sorts of “visitors” to you website should mean that you see an increase in enquiries about your product/services and these are quality ‘leads’ to follow up on. These enquiries may come directly through your website, via email and also by telephone so it is always important to make sure that these are easily accessible on your website otherwise you could lose potential sales. Recent research shows that there is an increase of customers using a combination of search (mainly Google) and social media to help review and gain information on products and services provided. This means that by ensuring you have a good online presence not just in the search engines via SEO but in social media too is essential if you want to increase enquiries by reaching out to these consumers. 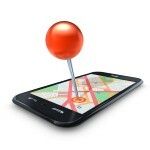 Do you want people to find where you are or target a specific regional audience? 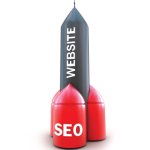 SEO can make your company more visible in a specific region or town in the search engines if you want. This can support your overall by boosting your regional, national profile. Research stats show that an estimated 20% of searches made on Google in 2012 are local searches by people/potential customers looking for companies in their own town or district. 40% of users who perform local searches then go on to visit, or contact the company directly after finding them via Search Engines. You’d be daft to ignore the benefits of SEO and social media.